This is a hobby. The views and opinions expressed here do not represent those of any past or present client, employer, employee, or colleague. Colossal | An art and design blog. This is a Flickr badge showing public photos and videos from periplus. Make your own badge here. i've been on the road the last few weeks, working in the middle east and the Philippines. While in Manila I was able to take a short side trip to Eagle Point, Batangas, for a bit of scuba diving. There's something for me therapeutic about turning away from the reef, and looking out into the deep endless depth. A well-intentioned attempt in 1972 to create what was touted as the world's largest artificial reef made of tires has become an ecological disaster. The idea was simple: Create new marine habitat and alternative dive sites to relieve pressure on natural reefs, while disposing of tires that were clogging landfills. Decades later, it is clear the plan failed miserably. Little sea life has formed on the tires. Some of the bundles bound together with nylon and steel have broken loose and are scouring the ocean floor across a nearly two-mile, or three-kilometer, swath. Tires are washing up on beaches. Thousands of them have wedged up against the nearby natural reef about 70 feet, or 20 meters, below the sea surface, blocking coral growth and devastating marine life. 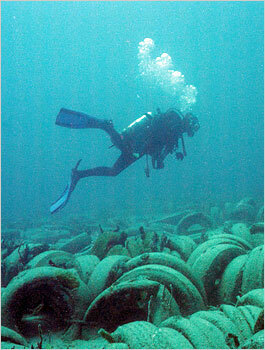 Similar problems have been reported at tire reefs worldwide. "They're a constantly killing coral- destruction machine," said William Nuckols, coordinator for Coastal America, a federal group involved in organizing a cleanup effort that includes county biologists, state scientists and U.S. Army and Navy salvage divers. Taka Bone Rate, 1994 Originally uploaded by Sick Coconut. An old photo from a previous job. 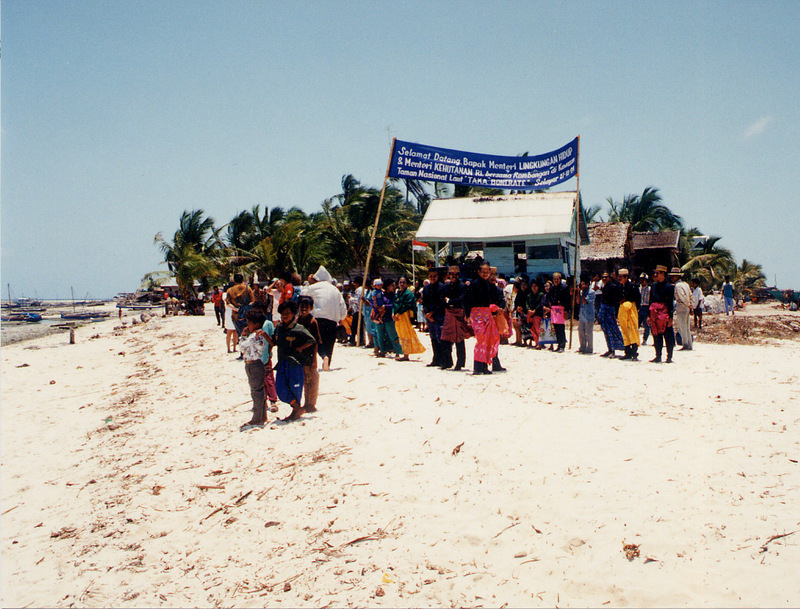 The people of the Taka Bone Rate (aka Taka Bonerate) atoll, Indonesia, come out in force to greet the Ministers of Environment & Forestry, and their entourage. For further insight on the environmental and socio-economic issues related to the coral reefs of Taka Bone Rate, you should read: Sawyer, D. 1993. “Valuation of Coral Reef Uses in Taka Bone Rate Marine Park, Indonesia.” Halifax, Nova Scotia, Canada, Dalhousie University. (Thesis Dissertation). We were fellowship recipients together in Indonesia in 1991.